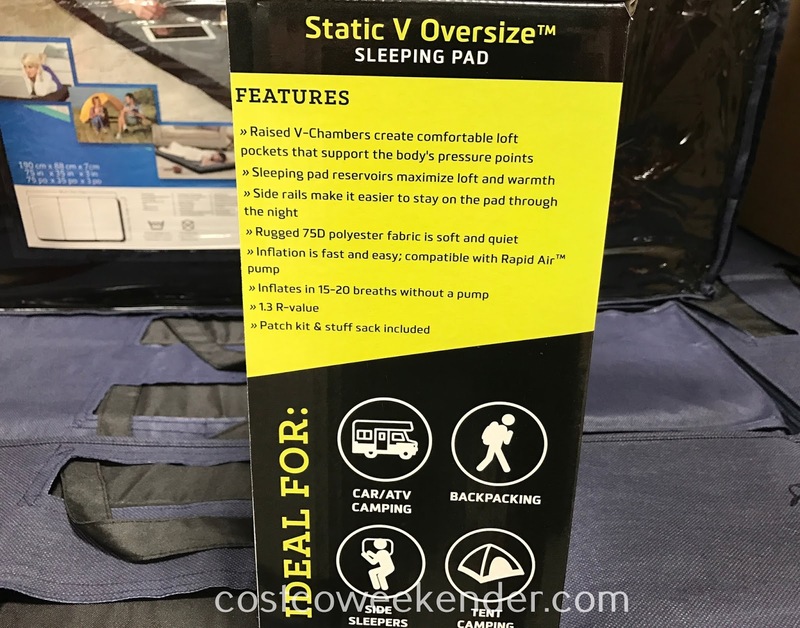 Whether you'r going car camping, backpacking or tent camping, better get your gear ready. 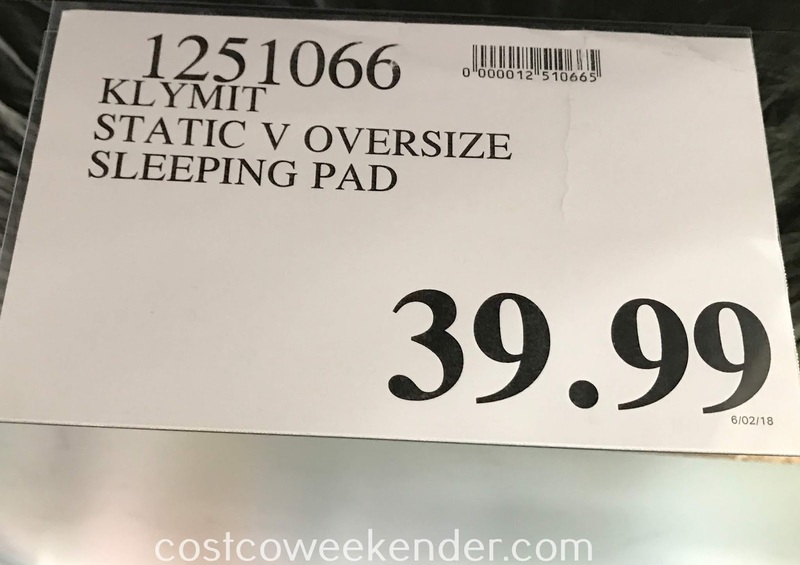 Start with a comfortable sleeping surface like the Klymit Static V Oversize Sleeping Pad. 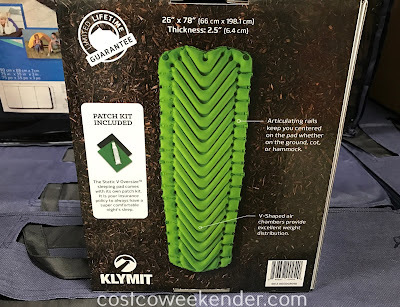 We've seen Klymit before as a Costco Special Event brand. Looks like they sold well enough to be sold as a normal item. 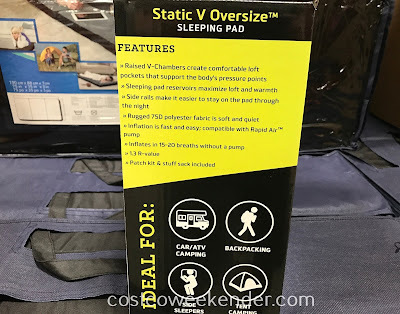 Costco sells a lot of camping equipment including sleep pads. What makes the Klymit unique is its V-shaped air chambers that provide good weight distribution. 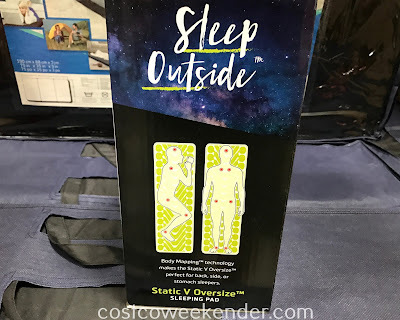 So you may be sleeping outside but your body doesn't have to feel like it is. 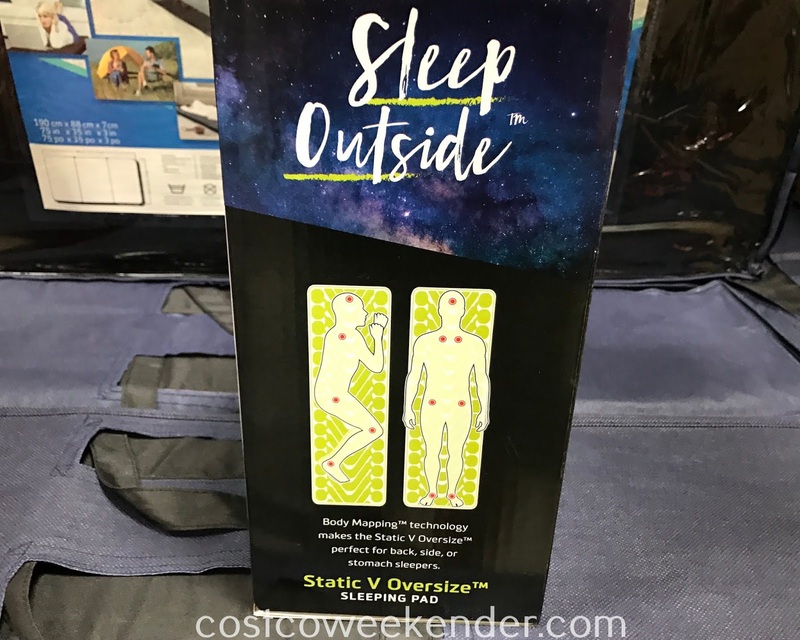 The V Chambers create comfortable loft pockets that support the body's pressure points. No air pump? 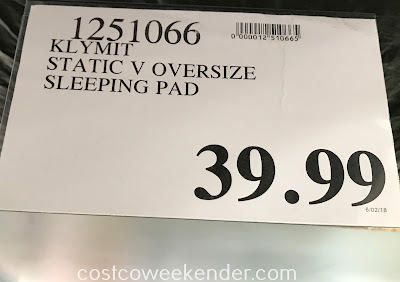 No problem, the Klymit Static V Oversize Sleeping Pad can be inflated in just 15 to 20 breaths. Or if you prefer, combine the Klymit with the compatible Rapid Air pump. So get your camping gear out of storage and make sure to include the Klymit Static V Oversize Sleeping Pad. 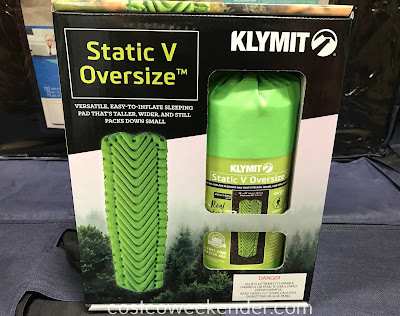 Klymit Static V Oversize Sleeping Pad: get your camping gear ready for the summer!